This post is an entry for BritMums’ #KidsGrowWild Challenge www.moneysupermarket.com/home-insurance/competitions/kids-grow-wild/. 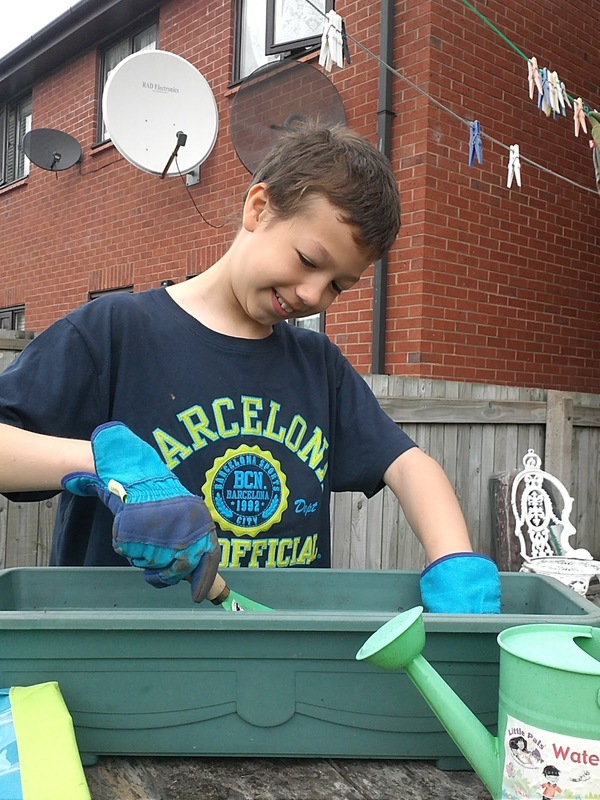 We are all very into our gardening, so when I saw the #KidsGrowWild challenge, I just knew my son would want to take part. He kind of 'caught' his greenfingers from us and plants things anyway, so this seemed perfect. I was sent a gardening tool kit for David containing gardening gloves, trowel, gardening fork, watering can, seeds and plant markers. He preferred to plant them in pots rather than grow them in an area of the garden as we get a lot of slugs eating the plants. 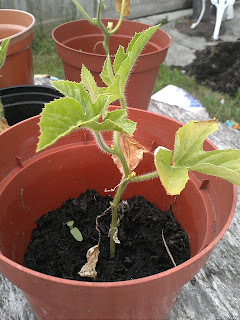 That plus the cats from various neighbours seem to like to squash plants! 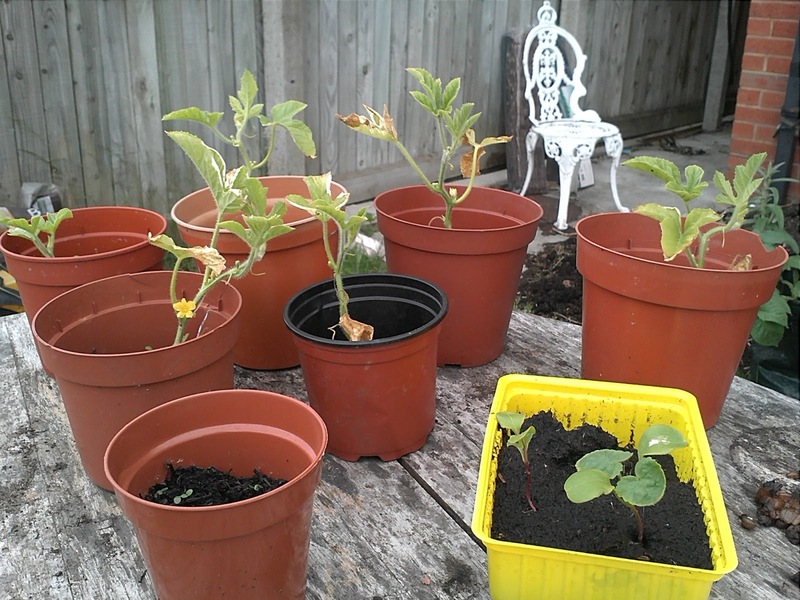 A few years ago, we decided we wanted to grow our own veg for a couple of reasons - to save money, to have fresh veg without the pesticides and just as a hobby. David wanted to grow some stuff too, so we started to introduce him to it too. That, plus his school often gets them growing their own stuff too. We find gardening is a great way to get us actively having fun together as a family as well. I asked David what he likes about growing stuff and he said: "I like that you can see how the plants look when they are fully grown and its a fun activity that you can do while you've got nothing else to do." I asked him what are his favourite things to grow and he said: "Flowers and fun plants and fruit." He's still growing his stuff, some of the things he'd already started growing are coming along really nice and he really does enjoy it. 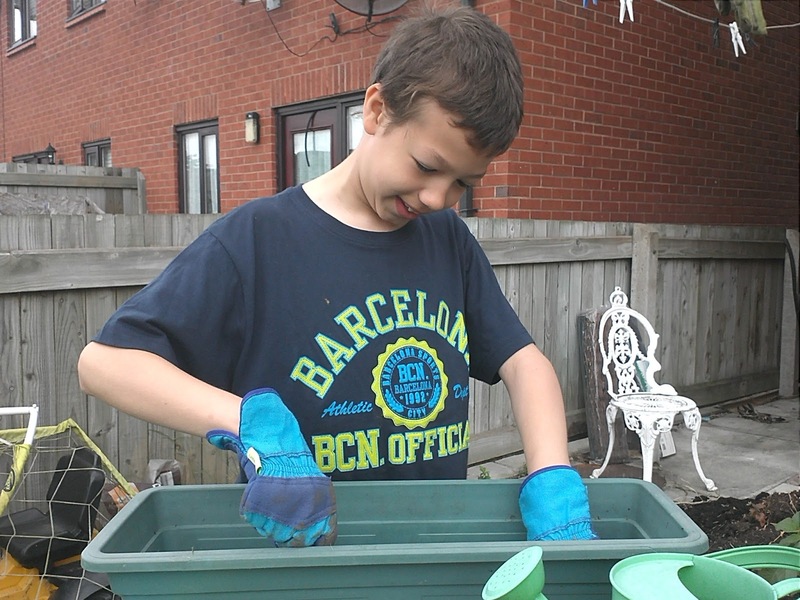 I think gardening is something kids of all ages can learn and enjoy and it's a good hobby for them to take with them into adulthood as it's something that never grows old.